If you're itching to give your living room an upgrade, but don't want to spend a ton of money doing it — this one's for you. 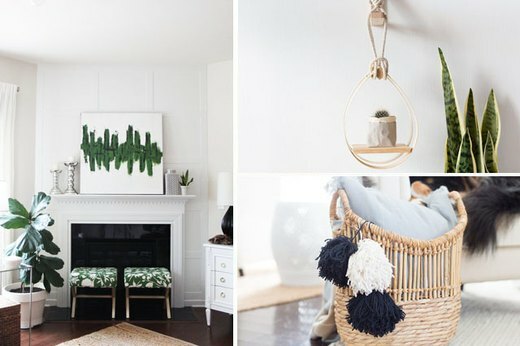 By getting creative you can DIY a high-end look for a fraction of what you'd spend at a big box store for the same thing. From an eye-catching rug made from a canvas drop cloth, to a chic marble lamp made from baseboard tiles — here are 10 projects that will help you take make your living room anything but basic. Use store-bought navy dye to turn plain white pillow covers into fun and sophisticated works of art. 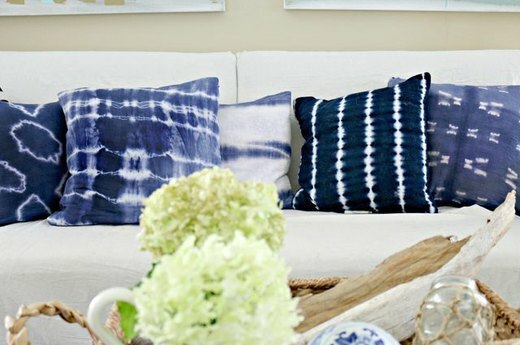 Inspired by the ancient Japanese tie-dying method called shibori, the bold patterns on these pillows will instantly change the look of your living room. Experiment with different rubber band placement when tying the fabric to make a variety of designs. 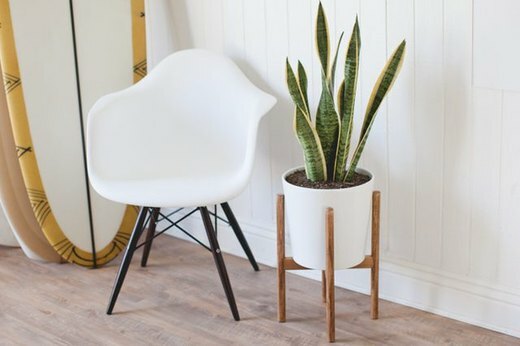 You can master this mid-century modern planter in a single afternoon, even if you have no prior experience working with power tools. Customize it by painting or staining the base to coordinate with the planter you chose, then add in an easy to care for plant. When you're all finished your living room will be right on trend. 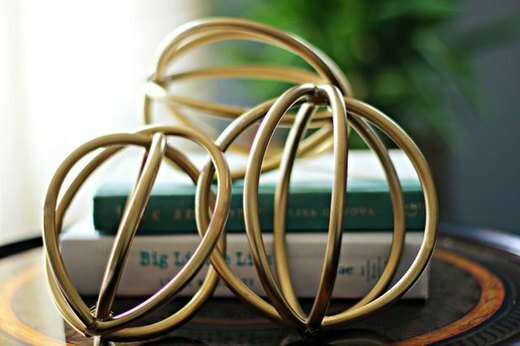 Add a glam touch to your living space with a set of these sculptural spheres. Made from easy to find materials like vinyl tubing, wire and spray paint, this is one project that won't linger on your to-do list for long. Display them on your mantle, in a basket on the table or mixed in on your bookshelf. 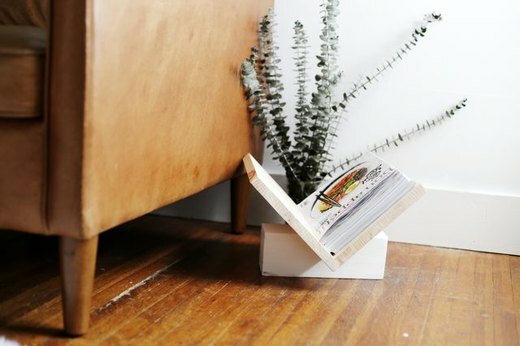 Keep a stack of reading material within reach with this wooden magazine rack. Give the finished product a coat of paint to match your living room's color scheme or let the natural wood shine, either way — this DIY definitely has a happy ending. 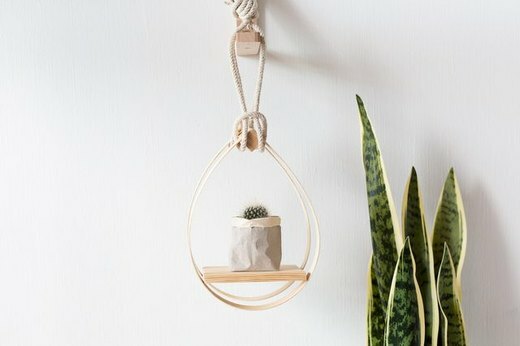 Part planter, part work of art — this mid-century modern hanging planter is just what that blank wall in your living room is looking for. Bringing plants inside is a great way to make your room come alive and added bonus — they'll boost the rooms air quality, too. Whether you choose to just make one or to create a grouping of them on your wall, these planters are going to be the envy of all your visitors. 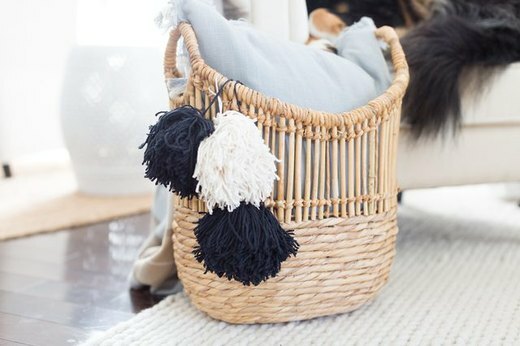 Adding a few oversized pom-poms to a wicker basket you already own is a quick and easy way to completely change the look of it without having to spend any money. All you'll need is one skein of yarn per pom-pom and a pair of sharp scissors. Go with the always classic black and white or add a fun seasonal pop of color, like orange and yellow for summer. 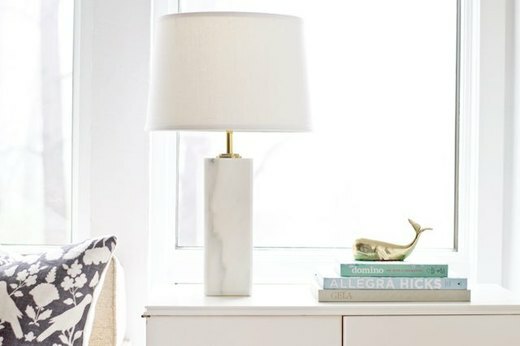 Dress up your end table with a chic new marble lamp. But before you panic and ask about the price tag, know that this lamp was constructed from inexpensive baseboard tiles and a simple lamp kit. High design and a high price tag don't have to go hand-in-hand and this lamp proves it. Turn an inexpensive hardware store drop cloth into a jaw-dropping new rug. Create a zig-zag pattern with strategically placed strips of painters tape and our printable template before finishing with a few coats of black acrylic paint. Add a border of pom-poms along the two shorter ends and this drop cloth rug will be the new star of your living room. Turn your fireplace into a major focal point by giving the surrounding wall a custom built-in wainscoting effect called board and batten. If you're intimidated at the thought of using a table saw, rest assured since most home improvement stores will make the cuts for you. From there all you'll have to do is attach the planks to the wall and paint. 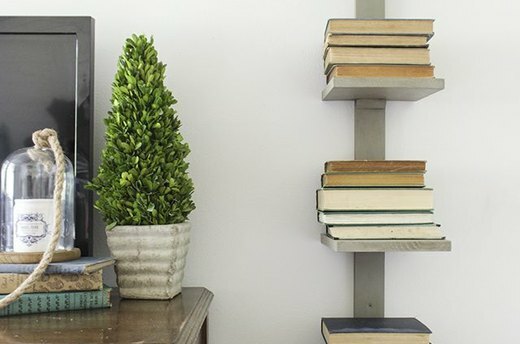 Just because you don't have enough room for a bulky bookcase doesn't mean you can't create a dramatic display for your growing literary collection. This slim vertical bookshelf will only occupy a minimal amount of wall space while still being able to house an abundance of books. The bookshelf would also look great painted the same color as the wall to make the books look like they're floating.